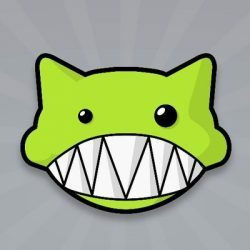 Over the past week, Demonoid's users have been unable to download anything from the torrent tracker. Instead of the usual stream of torrents, they see a "no torrents found" notice. While this appears to be a relatively small technical issue there is reason for concern, as the site's founder is missing in action . The site has suffered long stretches of downtime, faced legal threats, dealt with internal struggles, but survived nonetheless. Strangely enough, the top torrents list is working normally. Also, torrents may occasionally appear and disappear after several refreshes, as shown here, but there’s clearly something wrong. While this could be a relatively simple database issue, there’s a more serious concern. It’s not just the torrents that are missing in action, Deimos is also unreachable, even for members of the site’s staff. “Deimos is nowhere to be found for the last few days and I can’t reach him,” Demonoid staffer Phaze1G says, noting that it’s a major problem. Phaze1G says he last spoke to Deimos over a week ago and hasn’t been able to get a hold of him since. Demonoid’s founder was dealing with some personal issues and a business trip, but the lack of communication is unusual. TorrentFreak also reached out to Deimos a few days ago through our usual channel, but we haven’t heard back since. While there’s reason for concern, without more information, there’s no reason to panic. Phaze1G informs us that all torrents are still showing up in the test version of the new design, so they’re on the servers somewhere. This means that there’s likely a small issue that needs to be fixed. However, Deimos is the only person with server-side access, so people must wait for his return. Meanwhile, Phaze1G cautions users not to spread any wild rumors. “The site is not hacked, stolen, compromised, FBI / CIA conspiracy, and so on,” he notes.